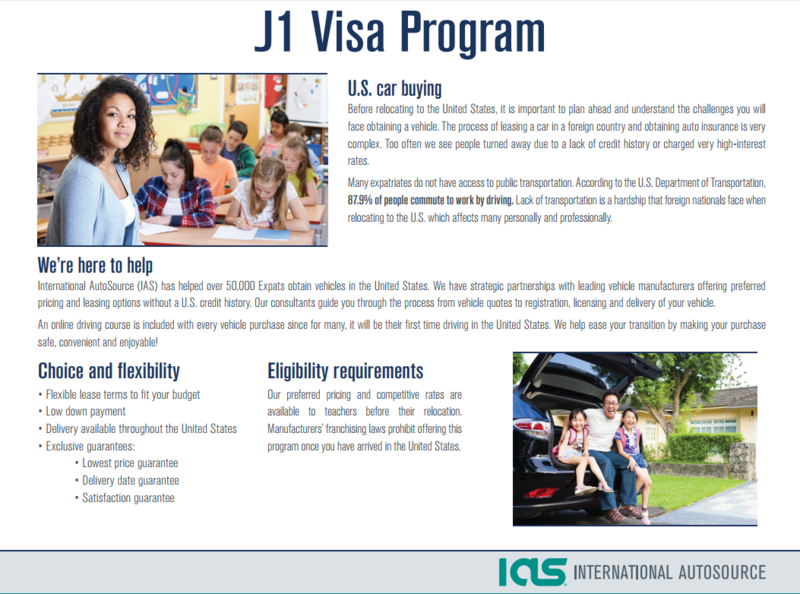 Each year, thousands of teachers, scholars, physicians, and exchange visitors relocate on J1 Visas to participate in programs that promote cultural exchange. IAS can assist with the uncertainties and challenges of obtaining a car with no U.S. credit history. Learn how we can ease the transition and pave the road for your journey ahead.